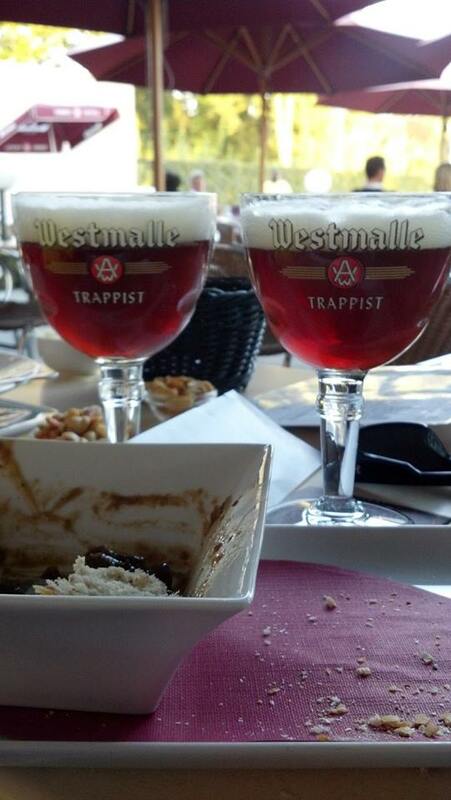 La Tour de Trappe Day 1 – to Westmalle! Westmalle is fairly easy to get to by bike from Brussels International Airport, but our planned route was interrupted by a lot of construction and the occasional wrong turn. The route we ended up taking added an additional 8 miles, taking our distance from an estimated 36 miles to 44. Most of the construction and traffic was in Brussels. Once you leave the city it’s a smooth steady ride with a maximum elevation change of 25 feet (8 meters). We arrived in Brussels, sleep deprived and raring to go. I might have been able to nab a few hours more of sleep on the flight, but I was seated next to a woman and her toddler. Needless to say, it was an unpleasant flight. Before the trip, we decided to assemble the bikes and ride to Westmalle on the first day…approx 30 miles of riding on day 1. The bike assembly went swimmingly, even though we felt a little creepy putting bikes together in a hotel parking lot. We gave our bike boxes and extra suitcase to the hotel staff and they locked them in their luggage room. Hopefully they’re still there in two weeks! Although setting up the bikes went well our first few miles were not as promising. Within 5 minutes, we hit a gravel road filled with broken pottery shards. I just knew our tires would be shredded. Thankfully, the extra thick tires we bought prior to the trip did their job! Along the ride, we encountered road construction, poor navigation, and a fierce headwind. After 44 miles (notice, that’s more than the originally planned 36 miles), we FINALLY arrived at our lodging near Westmalle. 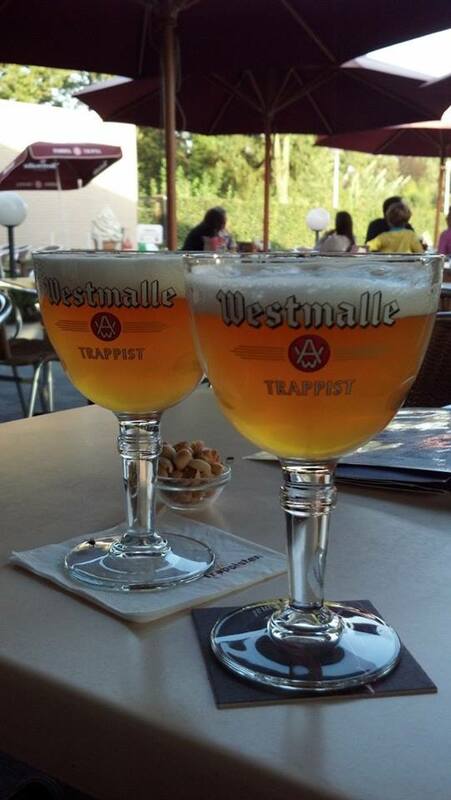 After a well deserved shower, we meandered to Cafe Trappisten to enjoy all of Westmalle’s fine beers. They were all delicious…even the Belgian version of a black and tan-half dubbel, half trippel! Our sleep is very well deserved tonight!